Soft set theory in combination with the interval-valued fuzzy set has been proposed as the concept of the interval-valued fuzzy soft set. However, up to the present, few documents have focused on parameter reduction of the interval-valued fuzzy soft sets. 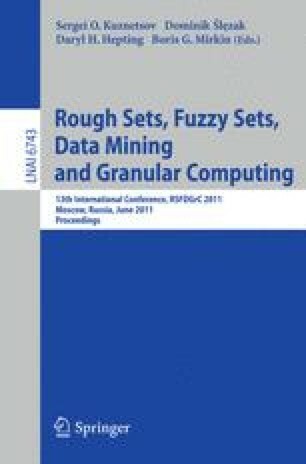 In this paper, we propose a definition of normal parameter reduction of interval-valued fuzzy soft sets, which considers the problems of sub-optimal choice and added parameters. Then, a heuristic algorithm of normal parameter reduction for interval-valued fuzzy soft sets is presented. Finally, an illustrative example is employed to show our contribution.